Eilene Engle was born in Columbia Falls, Montana, December 2, 1928. She peacefully went to be with her Lord May 1, 2014. Eilene graduated from Upland College in Southern California. 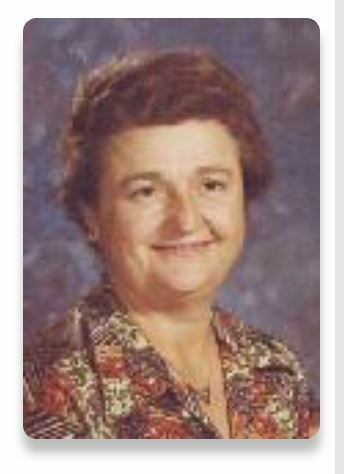 The family moved to Kelseyville in 1962, where she went to work as a teacher in the Lakeport Unified School District for nearly 30 years. She truly believed "children are a gift of the Lord." (Psalms 127:3) After retirement she enjoyed spending time with her beloved family and working at the Methodist Thrift Shop with her friends. Eilene is survived by her brother, Dell (Beulah) Kaufman; children, Diana (Richard) Johnson of Kelseyville, Gary (Barb) Engle of Fair Oaks, and Michael Engle of Kelseyville; four grandchildren and six great-grandchildren. We wish to thank Hospice for the wonderful care they provided during her illness. We also thank our dear friends and family for their care and support. A memorial service will be held at 2 p.m., Friday, May 16, at the Kelseyville Methodist Church, 1st and Main St., Kelseyville. For those who wish to make donations, the family recommends People Services, 870 11th Street, Lakeport, CA 95453, or a charity of your choice.